For a while it seemed like you could count on seeing the Jacuzzi Boys at the change of every season, but with their last show here being around Halloween 2011, it’s been over a year and a half since we’ve been given the proper Miami treatment. That doesn’t mean the Boys haven’t been busy. They released their Hardly Art debut, did a couple Euro tours, and have recently been hanging with Iggy (?!). Now with all of that behind them, it’s time for their return to Music City USA. 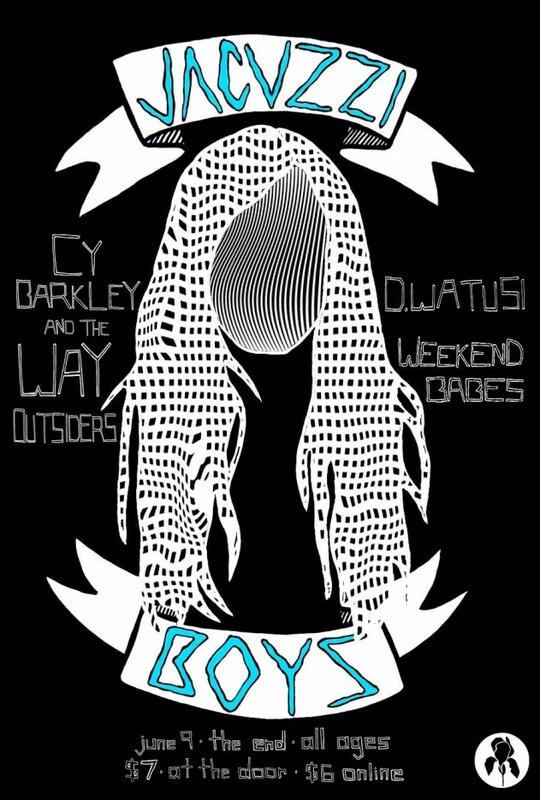 They’ll be at the End on June 9th with Cy Barkley and the Way Outsiders, D. Watusi, and Weekend Babes. Best of all, it’s all ages. That’s our language. But they won’t stop there! Gabriel, Danny, and Diego have also just announced their next LP. Jacuzzi Boys will be out September 10th on Hardly Art. To hold us over in the meantime, they’ve gone ahead and released the first single, “Double Vision.” It’s a cool jammer that’s just asking to be added to your summer mix. Listen to the single below, and come to the show next month! It’s gonna be a rager.